Posted on 24 May 2012 by PaulaPosted in FeaturesTagged 2000s, 2010s, blog events, blogathon, christopher nolan, future of film, inception, leonardo di caprio. Oh God, I llllllllllooooooooooove this movie and I think you are so right. This will become a classic! I’d have to agree with this Nolan masterwork. Well done, Julian. p.s., just it twice myself, Paula (in IMAX). Thanks Julian for taking part in the FCM blogathon…I agree, INCEPTION will never get old 🙂 At first I thought Joel McHale was miscast as a movie channel host, but the more I think about it, the more I think he’d be great. After all the chaos on The Soup, FCM will be a walk in the park. Great film! The best of 2010. And your write-up for is concise, yet detailed. Awesome movie. Will definitely be part of the Christopher Nolan canon when we look back at his career. Thanks for putting this fun meme together and including me in on the party! Why I’m not surprised that Mr Bond will pick something w/ a Bond-like theme, he..he.. 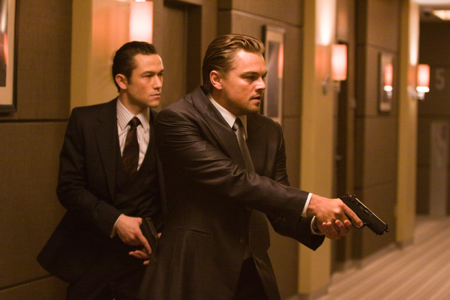 I LOVE Inception and I do think it’d be cemented as a classic down the road. The dream-within-a-dream story is cool and kind of timeless in a way. I could see this being re-released 20-30 yrs from now and still get people flocking to the cinema. Bravo! a fantastic choice here! YES! I love Inception and definitely believe it to be a classic. Nolan did such an amazing job here. I agree, I do think Inception is likely to be the Nolan film people will return to over the years. But I do love The Prestige…that’s my favourite of his films.